PowerPoint tips, hints and tutorials that will change your presentations for ever! The next tutorial is about the new shape tools in 2010 that allow you to combine, subtract and intersect shapes similar to many high level draw programs. But first NONE of these commands appear on the ribbon! 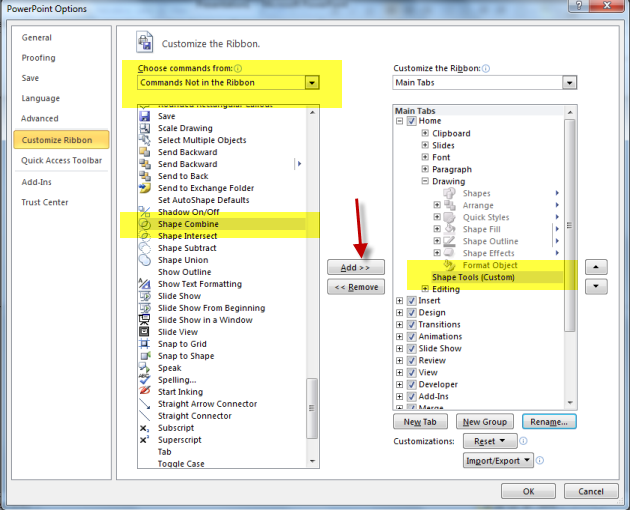 If you are a 2007 user you will be drawn to adding them to the Quick Access Toolbar BUT in 2010 you can modify the Ribbon. Lets do that. 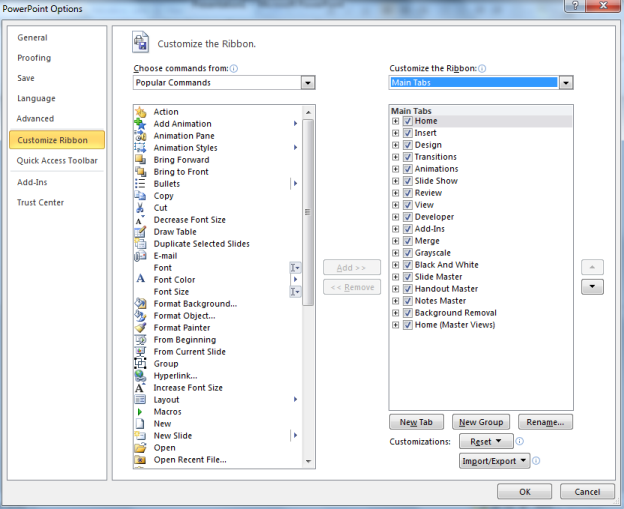 You will need to use the dropdown "Popular Options" and change it to "Commands not on the ribbon"
We are going to add a custom group to the Home Tab. Click the + sign next to Home Tab and select "Drawing". Now click "New Group". If you want to add the commands to a NEW tab with a custom name just click "New Tab" and work on that Tab instead of the Home Tab. Use the Rename button and name it "Shape Tools" - if you wish add an icon. Now find "Shape Combine" and add it to the new group. 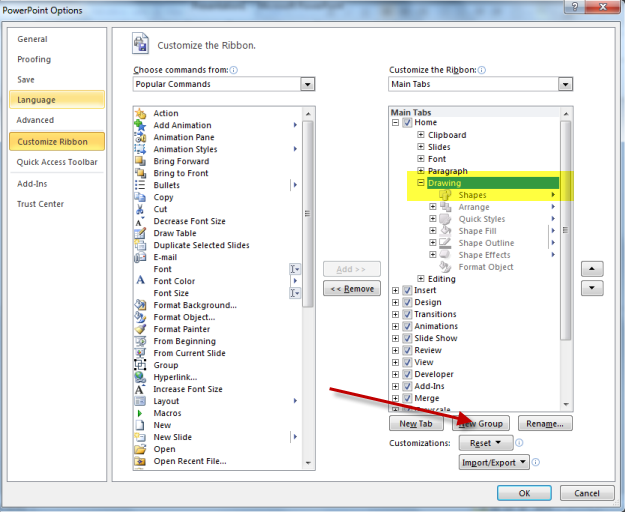 TIP: Instead of adding the individual tools add the COMBINE SHAPES tool which will add a dropdown with all the tools. Ready to move to using these tools?